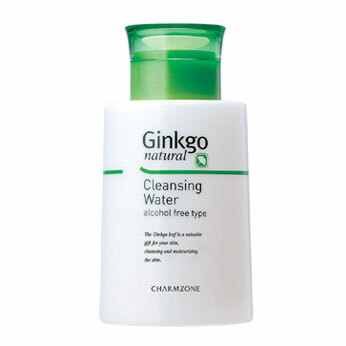 Thorough Cleansing is a very important requirement of a successful beauty regimen. It is a must if your goal is to promote a clear and healthy skin. This Alcohol-Free cleansing water removes pollutants, including accumulated sebum, makeup, and dust, from your skin without irritation while ginkgo restores your skin's vitality. Contains 1,500 mg of Ginkgo extract. Ginkgo leaf components promote the health and purity of your skin. - Lightly wipe along the contours of your face.